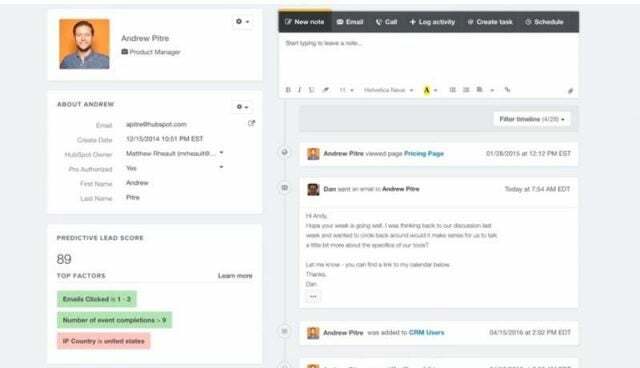 Software developer Hubspot offers its CRM service for free, or more accurately as a “freemium.” Additional integrations with Hubspot’s sales and marketing tools will cost you extra. Still, the CRM’s free features beat every other free CRM option on the market. With over 48,000 customers across more than 100 countries since its 2006 launch, Hubspot is a force worth reckoning with, at a price that’s hard to beat. 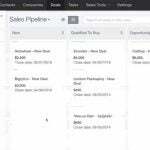 Hubspot’s CRM platform is entirely free, but the additional marketing, sales, and service hubs are all offered with tiered individual plans, as well as in a bundled suite. Without the additional services, the Hubspot CRM has limited functionality. Any CRM service should offer a wide range of features that varies greatly depending on the company or industry. One thing stays the same – the CRM platform is the backbone of all daily operations, and is therefore tough to replace. Hubspot knows this, and this is why its freemium model works so well. A free software service would appeal to anyone, and once it becomes irreplaceable, businesses will eventually shift to the higher-priced tiers they’ll need as they grow. Is it worth it? 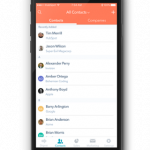 Hubspot’s CRM offers all the basics, making the free offering a great deal for any business on a budget. It comes with a solid support team and an intuitive interface. While initially designed for small companies, Hubspot now serves businesses with up to 1,000 employees. In fact, we’re so impressed by Hubspot’s software that we’ve ranked it among the Best Salesforce Alternatives to consider. Here’s a description of what features to expect from the various plans, and how much your business may wind up paying should it grow beyond the free offerings. First up, here’s a bird’s-eye view of Hubspot alongside its main competitors, to give you a better idea of how Hubspot CRM’s features and pricing plans stack up to the competition. The best overview of Hubspot’s features must be broken into two main segments. First, we’ll look at the features you will receive entirely from the free options available. 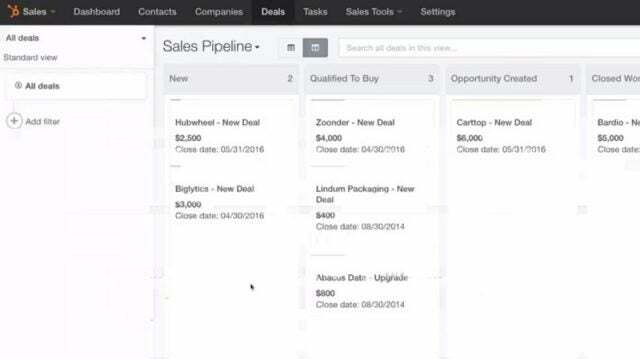 Second, we’ll explain the expanded CRM features available from the paid tiers of Marketing Hub, Sales Hub, and Service Hub, all of which operate from within the Hubspot CRM platform. Learn about how Hubspot’s products can benefit your company with this overview video. By consolidating their client’s many integrations and services, the Hubspot CRM helps aggregate data, allowing businesses to offer more personalized customer support and earn a better return on their invest. Hubspot offers free online training courses, called Hubspot Academy. With it, users can earn certifications in 10 classes including Design, Sales Software, or Inbound Marketing, which together clock in at a total of over 130 lessons. In addition, the site hosts ebooks, guides, and research reports. Any users of the free CRM can access the HubSpot Community, a collection of forums to crowdsource information. In-person classroom training sessions are held at 20 cities internationally, and paid training courses are available online for between $500-$1,000 per person. Private in-person training options are available as well, but at $5,000/per day, they may not be approved by your finance team. Phone support is available for customers in any tiers beyond the free version. Marketing Hub, Sales Hub, and Service Hub can all be operated out of the free Hubspot CRM platform. While each of these three services can be used with a limited free tier, they also each come with three paid tiers – Starter, Professional, and Enterprise. These each vary in cost. The three Starter tiers all start at $50/month: The Sales and Service Hub Starter tiers are each $50/user/month, while the Marketing Hub Starter tier starts at $50/month for the first 1,000 contacts in its database and increases for each additional thousand contacts. The Professional Sales and Service Hub tiers are priced at $400/month for five users billed annually, and each cost an additional $80/month for each user after that. The Professional Marketing Hub tier starts at $800/month billed annually for the first 1,000 contacts and increases $50/month for each additional thousand. The Enterprise Sales and Service Hub tiers each start at $1,200/month for ten users billed annually, and cost another $120/month for each additional user. However, Hubspot estimates a hefty cost to get started with either Sales or Service: It includes onboarding and any applicable taxes and starts at $17,400 for ten users. The Enterprise Marketing Hub tier starts at a $3,200/month base price billed annually, but increases just $10/month for each additional thousand beyond the first thousand contacts. If that all sounds like too much, you may want the Growth Suite, which packages all three services in the same tiers at a relatively good price. The Starter tier starts at $113/month, the Professional at $1,200/month, and the Enterprise at $3,600/month. The price increases are tied to the same metrics as those of the individual service tiers, though at a 25% discount. Notably, you’ll still have to pay a set fee to allow each of your employees to access both Sales and Service from within the Growth Suite. For example, each employee accessing the Enterprise Sales Hub beyond the first ten users will cost an additional $38/month, while that same employee also accessing the Enterprise Service Hub within the Growth Suite will cost $38 more per month. The free version of the Hubspot CRM isn’t unlimited, and the unlimited version isn’t free. That said, it provides a framework that businesses can use to begin structuring their customer relations and to learn how to better to streamline them. 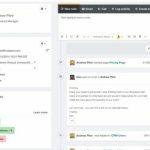 The Hubspot CRM is far from a poor CRM software, and is definitely a large improvement over no CRM for a growing business. 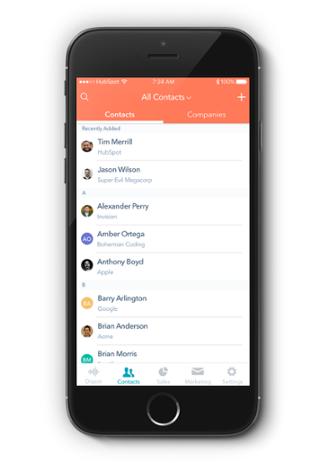 Hubspot is a recommended CRM for businesses who need or want a free option.